How is a person to make sense of the conflicting nutrition messages that they read and hear about each day? Sugar is toxic. Wheat is the devil incarnate. We are designed to eat like our Palaeolithic ancestors. Glycaemic index is the key to health. Carbohydrates cause weight gain. Intermittent fasting is the best way to lose weight. Coffee is bad for you. Coffee is good for you. I could fill up pages with all of the variations of different health messages, some of them coming into and out of vogue as time moves on. Working in nutrition for many years, I’ve seen all manner of fads come and go. I’ve read thousands upon thousands of research studies looking at foods, nutrients and health. I’ve commented to the media on all manner of diets. And you know what? The entire field of nutrition and health can be distilled down to some pretty simple basics. A dietary pattern that is made up of mostly unprocessed plant foods and low in highly processed foods, sweets and drinks consistently comes out on top in offering the best long-term health. There is no one food or food group that deserves demonisation. A dietary pattern is a flexible way of eating, not a set of rules that has to be followed. But there is more to life and health than just food. Just like nutrients are part of the food we eat, food is part of the lifestyle we live. And when it comes to lifestyle, you don’t have to go much further than looking at the similarities between communities around the world that enjoy the longest and healthiest lives. Described as ‘Blue Zones’, these are areas in the world where more people enjoy remarkably long, full healthy lives than anywhere else on the planet. People in the longevity hot spots are three times more likely to live to 100 than Australians are. So where are these Blue Zones? Okinawa in Japan, the Italian island of Sardinia, the Greek island of Ikaria, the Nicoya Peninsula in Costa Rica and the Seventh Day Adventist community in Loma Linda, California. So what do people in the Blue Zones do differently from the rest of us? Looking from the outside in, some very clear and consistent patterns emerge. People in the Blue Zones nurture strong social networks, consume a mostly plant-based diet, and incorporate daily, natural physical activity into their lives. They also do not overeat, learning to stop eating before they feel full. Long-lived people are not necessarily vegetarian, but they do eat mostly plant foods. And if they do eat meat, they do so sparingly. Beans, wholegrains, and garden vegetables are the cornerstone of all the longevity diets. Nuts are also a common food eaten. Yet even between the different Blue Zone communities, there is diversity in the foods they eat showing there is no one single ‘right’ way to eat, only flexible guidelines. Choosing mostly seasonal fruits and vegetable, and a variety of beans, nuts, seeds and grains is the cornerstone of their dietary pattern. 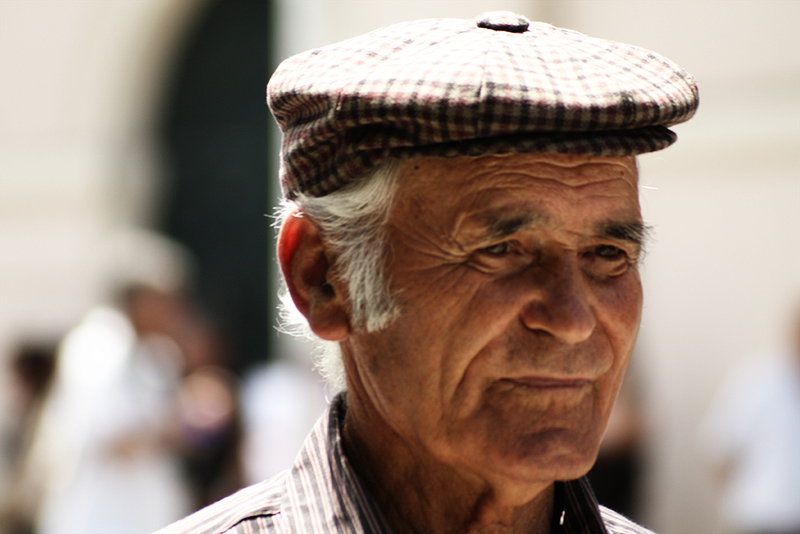 The long-lived people in the Blue Zones don’t avoid dairy foods or gluten. They don’t calculate the glycaemic index of their meals. They don’t ruminate on if the grains they are eating are stopping the absorption of other nutrients. They don’t take supplements. They eat. They move. They enjoy. They socially engage with their community in person. They live. You don’t need a PhD in nutrition to be able to make sense of the all the nutrition messages you hear in the media. When it comes to your health, take a step back. Learn from the people in the world who have got this mastered. This is fabulous. Go plant based eating, natural activity and community. Rice is a grain… of which classic Okinawans ate as a staple. Grains are not the problem. Overeating and people addicted to fast results are. Wait no, I’m confusing regions now. Okinawans ate less rice (but still ate rice), but my point stands. The ‘modern’ paleo and just about any low carb diet is deeply flawed. Two (there are many more) sticking points for me are, often the promoters are fat – Loren Cordain, Sally Fallon, William Davis, Barry Sears and even Mr Fatkins himself died obese. Secondly, elite athletes can’t follow these diets despite what is promoted. Tour de France riders aren’t getting through stages by eating t-bone steaks or tubs of lard. Take a walk through the food court in any westfield shopping center is enough and sport the difference between those eating high carb meals from sumo salad and those eating highly processed, high fat, high animal product meals from the 99% of other food vendors in the place. People simply need to eat real whole food, mostly plants. Sardinians lot of meat. Pork, hams and even horses! Sardinians eat lot of meat.every kind of meat even horse and donkeys. How do you explain that they are one of the most long-lived people in the world? @Majestic; meat consumption in Sardinia is very low, typically only once or twice a week. It might surprise you, but this is much lower than Australia. There are several easy to find peer reviewed papers with the data. @Majestic I’m still interested to know why you think they eat a lot of meat there. Thanks Catherine! You hit the nail perfectly on the head by describing the different nutrition ‘tribes’ as like theological debate between different religions and devotees follow their particular theology with similar zeal. Yes,pro-Paleo and pro-saturated fat combined with anti sugar and gluten/wheat are all aligning under similar umbrellas at the moment. The positive is that most of these fads will have moved on in a few years. The negative is that other fads will replace them! Will look forward to hearing about your personal insights into life in Sardina! Sardinian way of life is today the same one compared with all western world nations, the only different is the genetics, sardinians are genetically isolated, and they live in a very few polluted environment and they usually practice physical activity, sports, gardening, till old age. I have lived in Sardinia. Ah Sardinians eat lot of meat, and they are some of the highest consumer of beer in Europe. Hi Tim. Loved your post – I read it first and thought “Gee this is GOOD” then found your name at the end! Nicely said! I too have seen most of the fads come and go but now I find widely-opposing viewpoints on each side of the ditch eg Paleo devotees vs gluten-haters vs No added sugar followers. It’s like different religions all debating each other! It IS hard for the average person. On a personal note, I’m planning a trip to Sardinia next year so will be on the lookout for those customs/habits from the Blue Zones that enhance their healthy behaviours OR make it easier to eat right and get some exercise. Didn’t realise the island was on the list of one of the longest-living! Excellent blog post! I recently read the book Healthy at 100 by John Robbins and he talked about societies that literally have not heard about prostate cancer, breast cancer, and heart disease. They know nothing of obesity and diabetes. Included in the cultures are the Abkasians, the Hunzas, the Vilcabambans, the Tarahumara, and the traditional Okinawans. It’ s a sad story about Okinawa, because when the Americans moved in they brought fast food and junk food with them. Now, there are older Okinawans literally burying their children due to chronic disease and obesity. You hit the nail on the head when you said, “You don’t need a PhD in nutrition to be able to effectively choose the best diet for you.” The evidence is clear we just need to keep on pumping the information out through as many channels as possible and hope that it sticks with some people and they too can spread the word. It’s not rocket science although processed food might be akin to rocket science. Another great book is Salt Sugar Fat by Michael Moss. In his book he outlines how the food manufacturers manipulate food to get people addicted so they can have a customer for life. If they get too fat and sick to eat the processed foods, they can go on Jenny Craig, which is owned by Nestle, or they can get lap band surgery and go on liquid Optifast – also owned by Nestle. Thanks for your great response Sherry and certainly agree, that food industry (admittedly driven in part, but not fully, by consumer demand) shares part of the responsibility. Still, no one forces a person to bypass the fruit and vegetable section of the supermarket en route to the chips, sugar-sweetened drink and confectionery isles, but the environment does make it harder for people to make the best choices for their health. And note that none of those societies are vegan.